Jyunka M+, The Miracle Fluid In Just One Application! 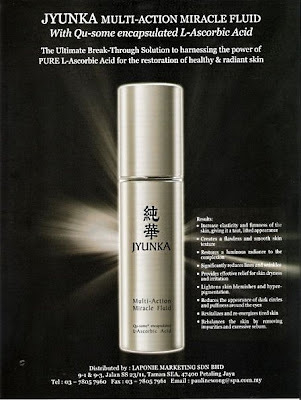 You are here:Home » Product Reviews » Jyunka M+, The Miracle Fluid In Just One Application! I was delighted when invited by #Laponie to participate in the Jyunka Challenge. 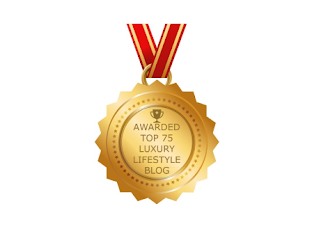 Laponie has been in the beauty business for over 25 years with premium salons brands such as Guinot, Maria Galland, Systems Dermatologique & Jyunka. The company had recently launched its star product, Jyunka Miracle-Fluid, an effective science based vitamin C serum that promotes rejuvenation, cell regeneration & in regaining flawless & youthful looking complexion. In 1992, Dr Sheldon Pinnell of London's Duke University published a thesis to explain how pure L-Ascorbic acid (Vitamin C) can greatly benefit our skin & reduce UV damages. #VitaminC is water soluble, easily destroyed by heat, air & light. 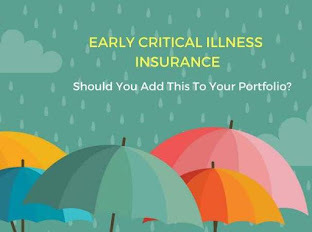 He concluded that although oral consumption of #VitaminC builds up the immunity & health of the body, it cannot supply what the skins needs as well when Vitamin C is topically applied. That thesis made L-Ascorbic acid an overnight star in skincare products. 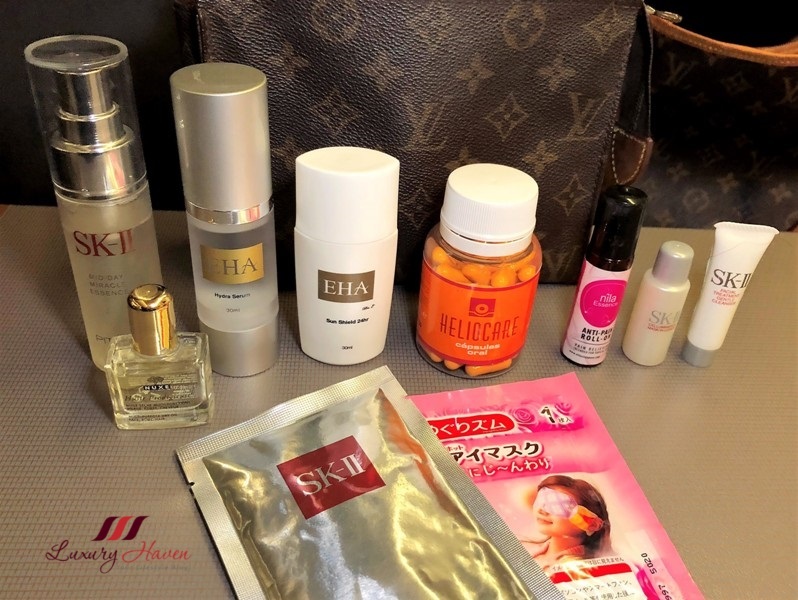 Originating from Japan, the #MiracleFluid is now recognized as the ultimate solution to your beauty needs. #Jyunka (pure radiance in Japanese) is an answer to our prayers. It has successfully engineered the advance Qu-some technology that encapsulates the fragile vitamin in a highly purified & emulsified molecule that is ultra fine, active & penetrates the deep layers of our skin cells. For my #JyunkaChallenge, I was given a choice to have my treatment done at an upmarket beauty salon in town. However, I found out that few salons in the heartland also offer the Jyunka products & one of them is just a train stop away from my home. To be frank, I've never stepped into any beauty salons other than those reputable ones in the city. Somehow, I always have the image that salons elsewhere would probably be using some crappy brands. 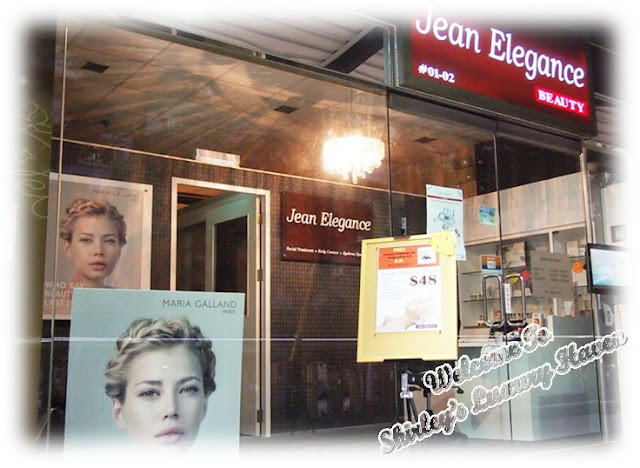 So I was really surprised high-end professional brands like Jyunka & Maria Galland are being offered at Jean Elegance. I decided to take a plunge & pick this place for my #Jyunka Challenge. First impression counts. How true! 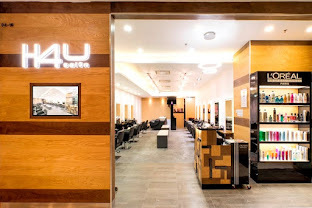 The beauty salon is conveniently located within #Marsiling Station itself. The cozy salon with its warm chandelier ambience greeted me upon arrival; the smiling therapist was already waiting patiently for me. 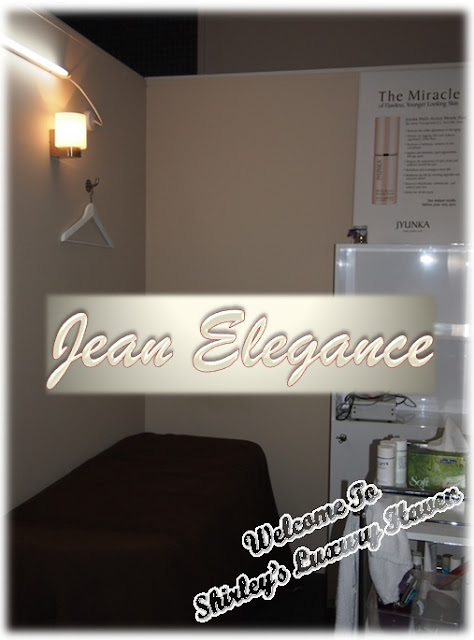 I was ushered to my facial room where my trial began with a cleansing routine, followed by the Jyunka Epidermal Peel Treatment. The knowledgeable beauty specialist explained that the treatment gives me a deep peel to tackle the superficial epidermal layer & also stimulates the regenerative cells in my skin. Keefe, Marketing Director of Jyunka Int'l, attended to me personally. His warm & cheerful personally shone within & I was immediately put at ease, completely comfortable in his hands. Keefe analyzed my face & asked what my concerns were. "Too many", I answered without hesitation. At my age, all the problems seemed to surface. "Mainly dull skin & fine lines", I continued after much thoughts. As Keefe worked on half of my face, he shared about the wonders of Jyunka amongst other stuff. I was truly impressed by his knowledge & skills. In no time, my "new" face was revealed. Picture speaks a thousand words. Keef took pictures of me, before & after. Take a look at the pictures & be the judge. Pay attention to the fine lines under my eye & my laugh lines. Are you amazed by the results? I'm totally convinced with the magic of Jyunka M+ Fluid! Immediate results can be seen after using Jyunka! The treated skin is lighter & brighter, pores are refined, & fine lines are plumped up at the epidermis level while the facial contour is lifted at the muscular level, leaving skin firmer & more toned. JYUNKA GLOWS! - the skin literally glows from within. Toxins are flushed & the complexion improves. Plump up Fine Lines - fine lines & wrinkles are visibly reduced with the plumping effect of the serum. Lift Sagging Skin - sagging skin is visibly lifted & the facial contours are more defined. Tighten Pores - good for people with open pores. Lighten #Pigmentation & Age Spots. Long term results begin with the basil layer’s increased skin cell production level, followed by the Fibroblast cells increased collagen & elastin production at the dermis level. 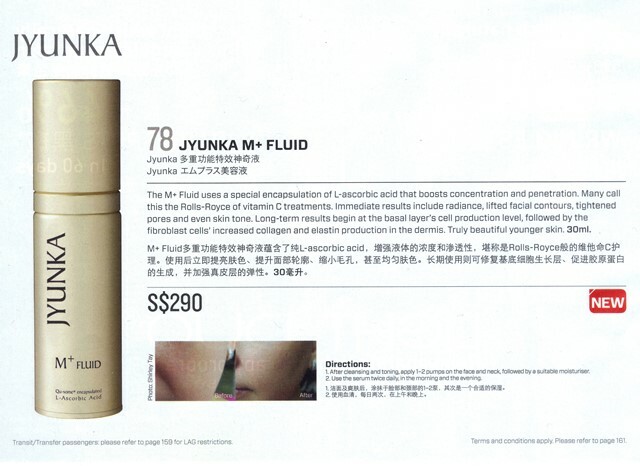 Jyunka M+ Fluid acts as a booster & should be used on clean skin after the toner & before your serum & moisturizer. The product is lightweight & melts into the skin upon application, leaving no greasy after feel. Seen on Singapore Airlines #KrisShop Magazine! Jyunka M+ is retailing at S$322 (excl taxes) for just 30ml, but it's more potent than anything I've ever tried! Jyunka is a Cosmeceutical skin care range that works from the very first application. Jyunka will help your skin overcome its challenges, giving your complexion the maximum results you've always wanted. The entire Jyunka Challenge kicked off with Jyunka Epidermal Peel Treatment, followed by the M+ Fluid, then Jyunka Boto Caviar Serum. 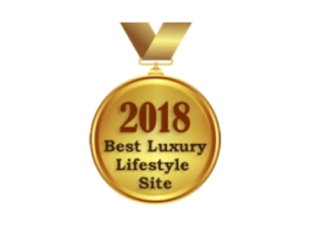 Click on the links to read on my reviews! Well, some lucky readers will have the chance to experience this transformation personally & watch the miracle unfold in front of your very eyes. 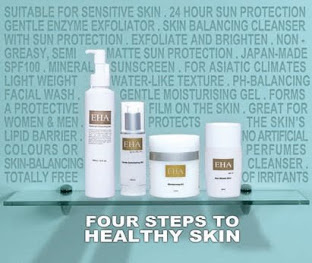 Try now & see it for yourself the immediate difference it makes to your face! Hop over to Giveaway: Jyunka Miracle Fluid x 6 Winners now!! 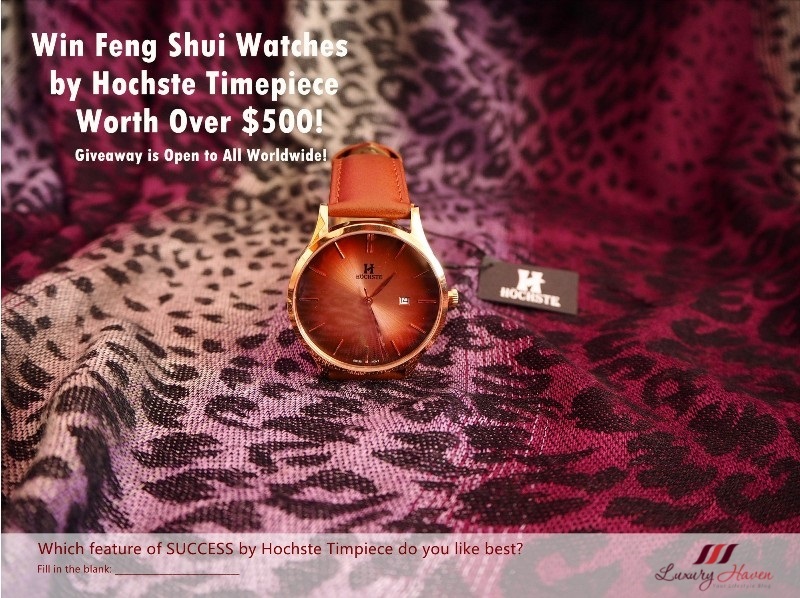 Contest closes 17 Aug 2012. 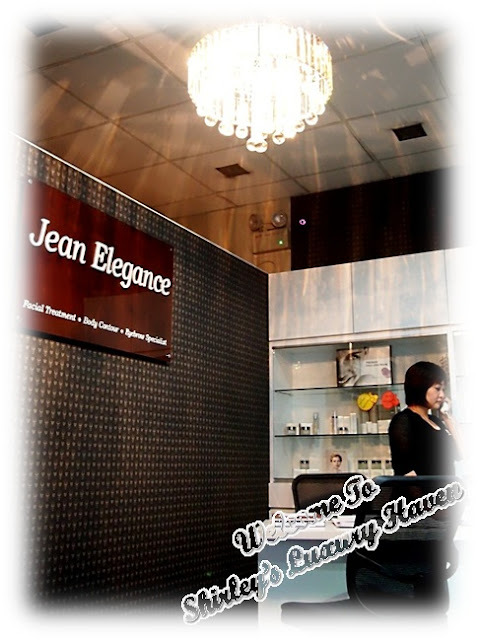 Thank you Keefe of Jyunka & Jean Elegance, for the magical experience! Quite a few readers have asked me if they could get a special price for the Jyunka M+ Fluid after seeing the amazing results in my review. 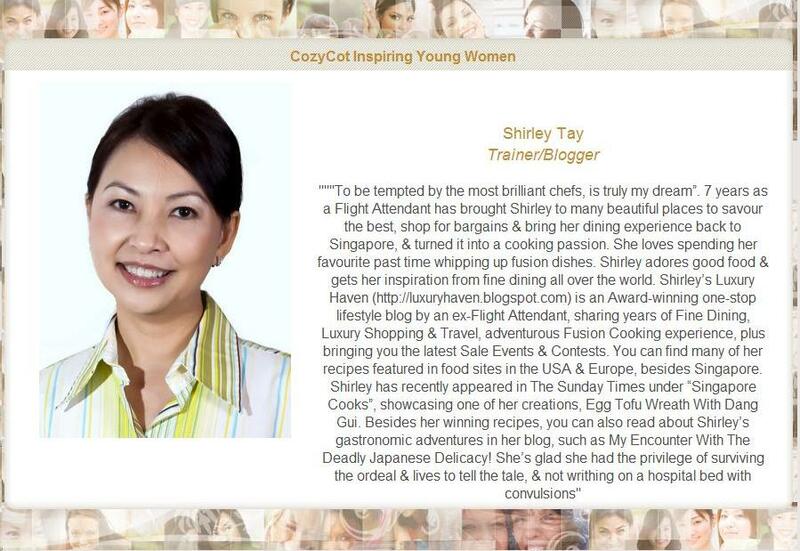 Luxury Haven readers will now pay just S$268 instead of S$344 (incl GST) & the offer is until end of Oct 2012!! So hurry & get yours now! 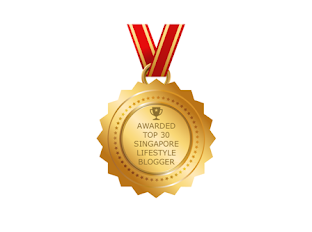 Read the winners' testimonials of #JyunkaMiracleFluid at Jyunka Boto Caviar Serum For Beautiful Skin now! wow, Jyunka products sound really good! I wonder if I can get these in Hong Kong. Thanks for letting me know about this great product. Purabi, they're expanding. Be sure to chk out their website! Looks wonderful but seems beyond my reach. But definitely looks like good products. Maybe i could wait for big fat bonus to spurge on this. DS, have to agree it's pricey. That's a good idea, so start saving now! Jen, hahaha! U're real quick! Yum List, it appears to be. Hahaha! Hong, not bad it has attracted guys too! Have to admit it's a real temptation. Hong, I think u can get it in M'sia. Dig into your pockets, dear. Xue Ren, yap! Magical, right?? Hahaha! Shirley, I'm so happy to let u know that I had just received the NuStevia. I thought I would only receive 2 bottles but there were a lot more....wow. Really thank the company for its generosity. all these products are amazing. Great post! Your skin definitely glows after the treatment :) Btw, I love this white layout better! It looks easier to navigate and I like the neater interface! Rachel, thks for coming by & letting me know how u feel! Have a great week!